Vogelpiks or piks is a very well-known game that began in Belgium that is played around the world and is gaining popularity in certain regions throughout the United States. It is important to learn the rules and how they vary from dart rules in order to keep its long standing heritage alive. Setting up a game of piks requires more than simply slapping a board on the wall and taking a few steps back to shoot at it. There are specific measurements for the height of the board and the distance away from it you will need to mark for the throw line in order to have the proper setup. First, hang the board with the center of the bulls eye 62 inches above the floor. This is 1 inch shorter than a standard dart board installation, or 6 inches shorter than a pub board typically mounted 68 inches above the floor. The throw line should be marked 72 inches from the front face of the board. It is important to not measure from the wall but the actual front of the board. Compared to standard darts, this is over a foot closer to the board. Unlike darts, the throw line should be marked using a semi-circle shape to allow the player to rotate in front of the board at different angles when taking their shot. If you are unsure how to draw a perfect semi-circle, simply cut a string that is 72 inches, tape it on the floor and trace it as you swing it around the front of the board. 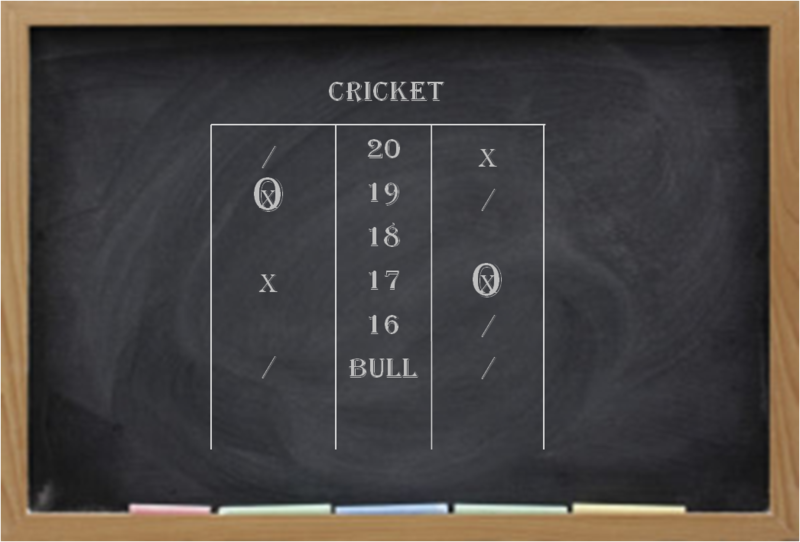 This is important to Vogelpiks because the smaller board will fill up with piks and you may need to shift your stance around the circle in order to get a clean shot at the bulls eye. Below are some of the primary rules of piks that apply to any game you want to play. In order to learn the specifics of a particular game or how to score it, please see the section below. Since the rules and scoring vary depending on the piks game you are playing, we recommend you read the official rules depending on the type of game.